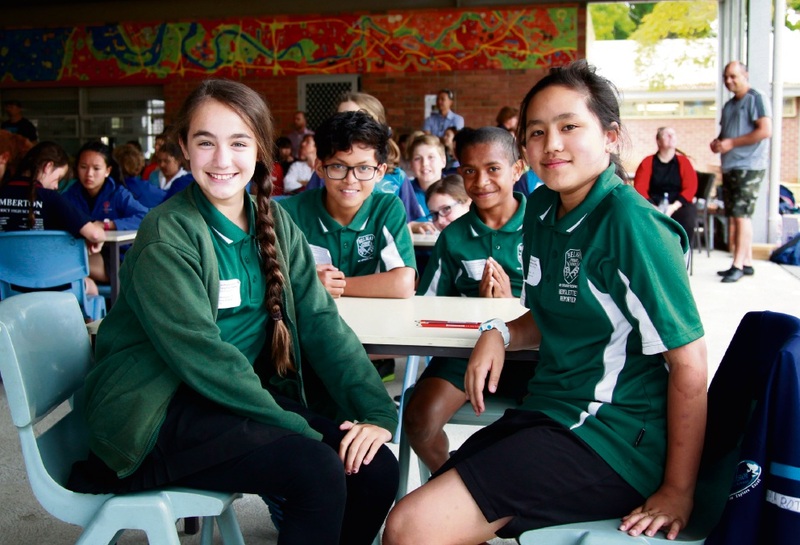 Belmay Primary School’s Year 6 maths stars Mikaela Battle, Stephine Sinday, Billy Knathny and Celin Nguyen get ready to take on the competition. WITH the numbers on their side four Belmay Primary School students competed in the Grand Final of the AFG interschool Numero challenge last Thursday. The mathematics competition involves four events including the individual top take, where students have to solve a maths challenge by themselves, and team top take, where they combine their problem solving skills. The Belmay students scored in the top six in both events. As this year’s grand final hosts, Belmay’s Year 4-5 teacher and event co-ordinator Hannah Klauz said the students did a good job and had a fantastic time. “(The competition) is a great way for kids who excel in the classroom to show what they can do,” she said. Students from Excelsior Primary School in Canning Vale raised the winners trophy for the fifth year in a row, winning $1000 for their school with Hocking Primary school coming second and Aranmore Catholic College in Leederville third.